The battle between Floyd Mayweather and Manny Pacquiao coming up on May 2nd is of epic proportions. Alexis Cuarezma had the opportunity to photograph both of these welterweight icons for an HBO press conference back in March. Cuarezma told me he only had roughly 30 seconds with each fighter, and he sure made the most of it! In the video you can see a pretty simple two-light setup. Cuarezma looks to be using a bare Profoto B1 up top as a dramatic key, and another inside a medium-sized softbox pointed up from below to help carve out those muscle details. It seems to be a classic clamshell setup, albeit an unconventional one in this instance. Usually this type of lighting technique is used for beauty portraits, but by balancing the softbox with a hard key, Alexis was able to add a lot of drama to the fighters in an uncluttered and efficient way. It’s a rare case of uplighting giving flattering definition. 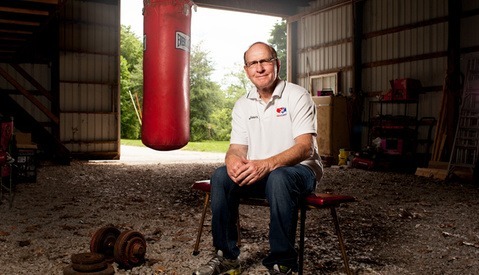 Getting access to boxers of this caliber is tremendously hard to do – especially with Mayweather having a contract with Showtime and Pacquiao having a contract with HBO. 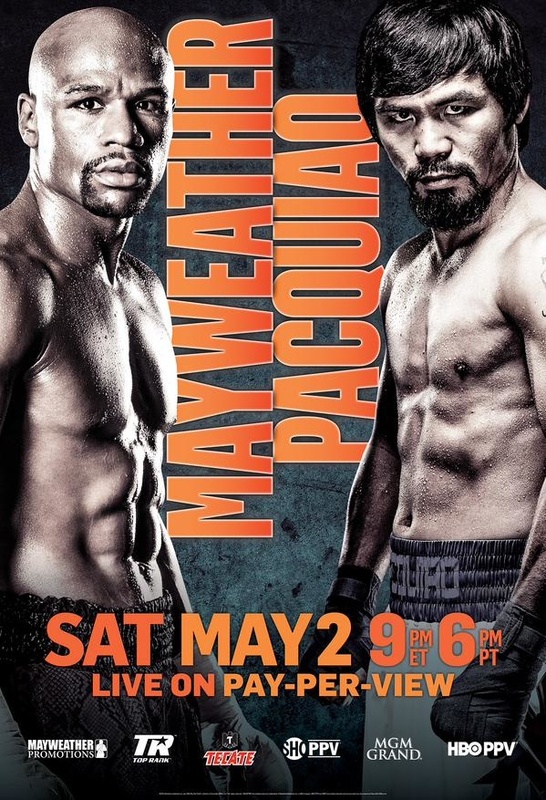 Both networks are airing the fight live on pay-per-view, but putting together the official fight poster didn’t happen in one shoot as easily as Alexis was able to pull off. Fstoppers’ own Monte Isom photographed Manny Pacquio for the HBO half of the fight poster composite while Greg Gorman separately shot Floyd Mayweather for Showtime. There are definitely similarities between all three photographers when it comes to bringing out the details of the boxers in an edgy manner for promotional use, although the posters utilize rim lights and Cuarezma’s utilized uplight. Which lighting style do you prefer and why? Let us know in the comments. Be sure to stay in the know with everything Alexis is up to at his website, Twitter, Facebook, and Instagram. Also, don't forget to check out Monte's upcoming classes at the Fstoppers' Bahamas workshops! woooooo, goosebumps when Manny's demeanor shifted. Congratulations on this work Alex. You killed it. Justin, thanks so much for the kind words. I appreciate it. Cheers! Alex, you did a great job on the Floyd/Manny photos. Thanks for the post, and the pictures are very impressive, but I'd rather hear about the access, lighting, post production, etc. More photography, less mood evaluation. Floyd is from my city. I photographed him after he won his Olympic bronze medal. Great job, Alexis. Impressive work with limited time ! HBO has embargoes on releasing anything from the shoots until after the fight. Even after the fight it could still take time. Alexis is amazing at sharing the how-tos and whys behind it all. Stay tuned... or go check out the other stuff he's gladly put out there for free!